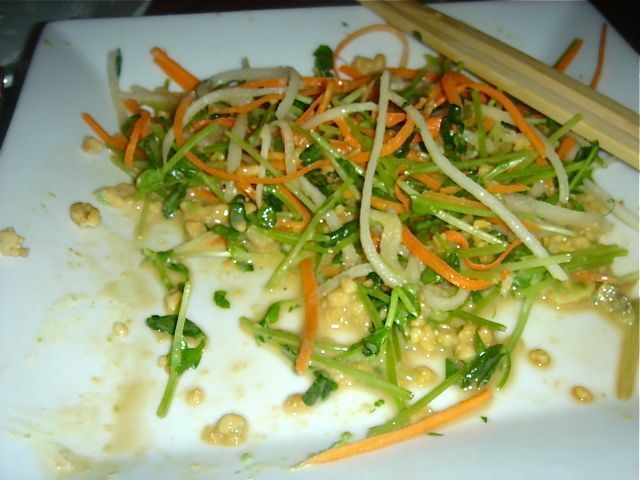 We have been very lucky as the list of worst dishes is not that long. 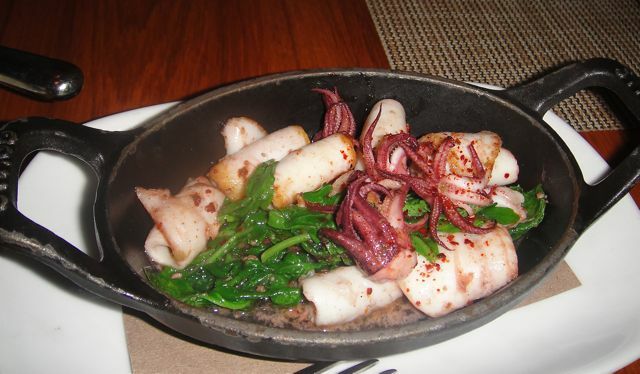 To be listed as the worst, the dish had to be executed poorly. 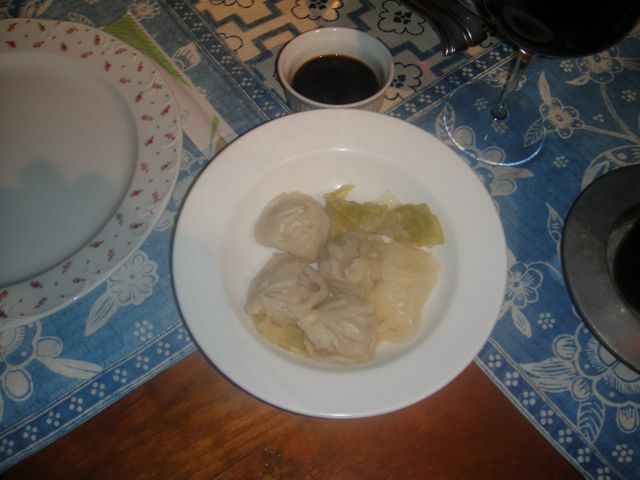 This was not a matter of personal preference, but rather a very, badly prepared dish. 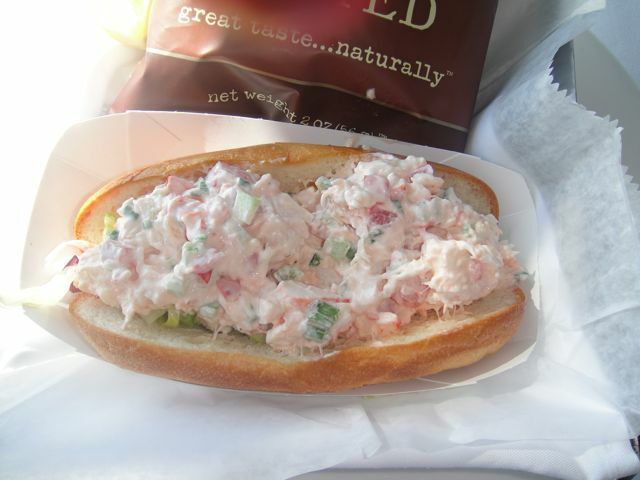 Lobster Roll – Where oh where is the lobster? 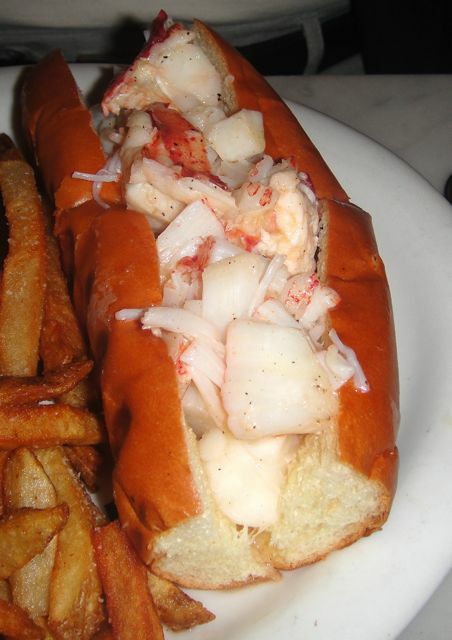 This should have been called a Mayo Roll. 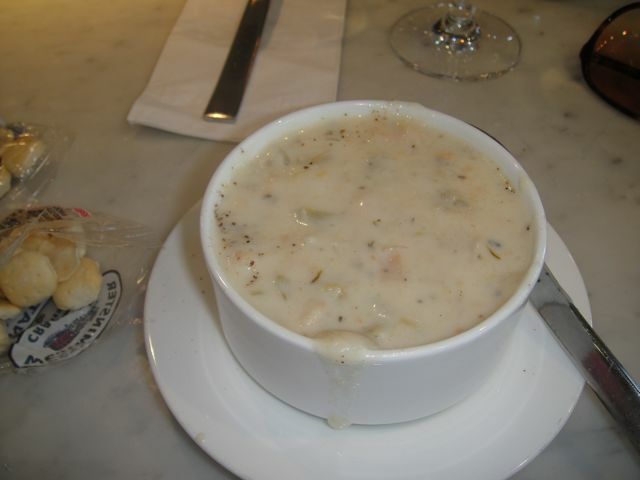 New England Clam Chowder – absolutely horrid and inedible – tasted like tin. This should never have been served and if a cook tasted it, I have questions about the tasting ability of the cook. I was going to buy a quart to bring home – I wouldn’t have bought one teaspoonful. My husband complained and they did take this off the bill. 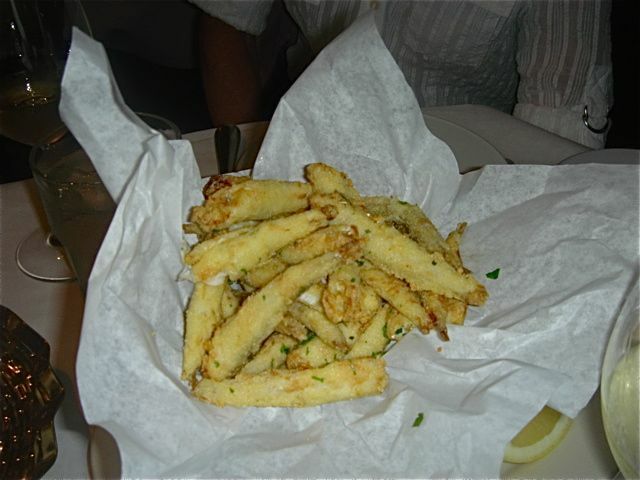 Calamari and White Anchovy – the white anchovy was a tapenade and basically added little or no flavor. 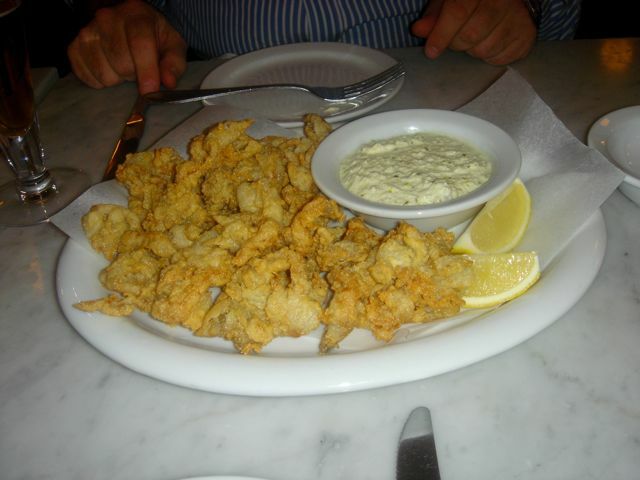 The calamari was tough, chewy and basically inedible. 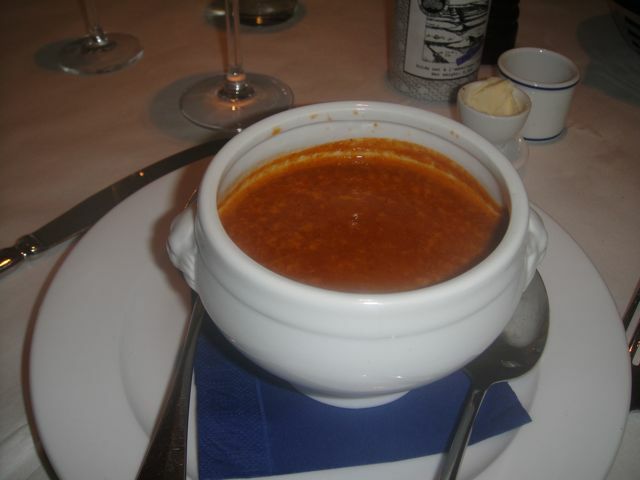 Lightly creamed lobster and blue crab bisque – completely tasteless – one taste only. To the restaurant’s credit, this was taken off the bill. 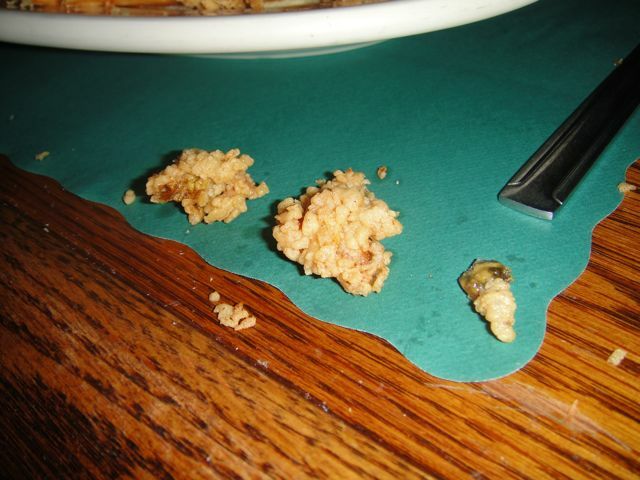 This was an $18 slightly larger course of 5 small slices of tuna that you needed a magnifying glass to find. 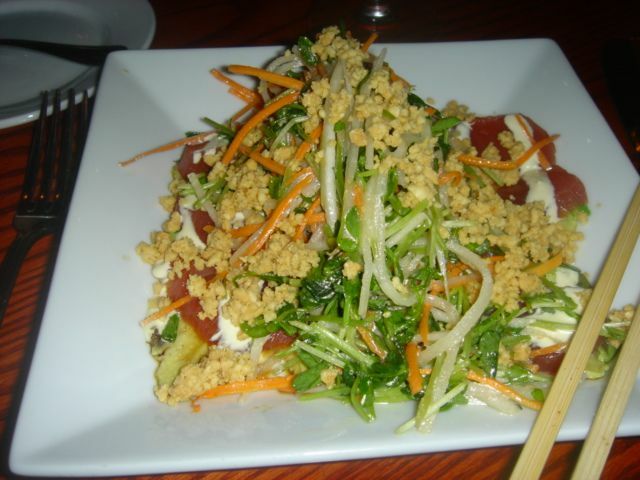 It was topped with a huge “salad” of grated daikon, carrots and other assorted “stuff.” I kept thinking there must be more tuna under all the stuff on top. No such luck. Why the peanuts is a mystery to me. I would say that the food cost for this dish was approximately 10% if that. Absolutely dreadful. 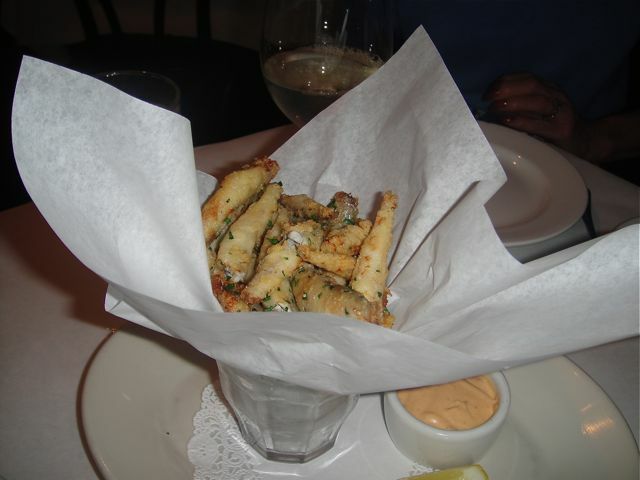 Smelts at Jeanty done right. 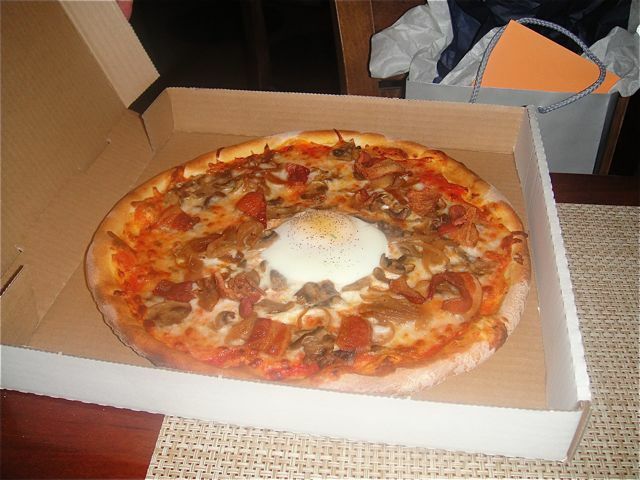 Breakfast Pizza – Onion, Mushrooms, Bacon & Eggs – I am imagining a runny yolk. Do you see that pitiful hard one yolk? Where oh where are the caramelized onions? To the restaurant’s credit, they remade the pizza. 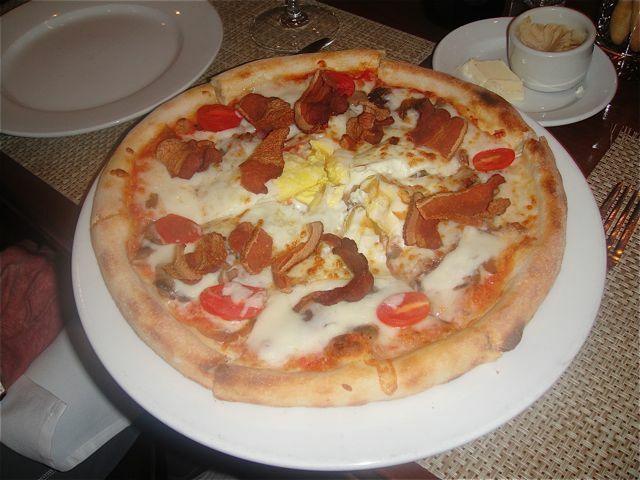 The pizza redone – quite a difference. 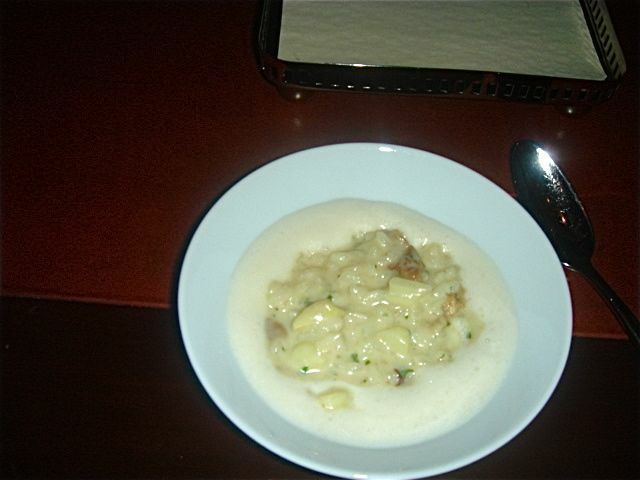 White Asparagus, Risotto, Porcini, Chervil, Castelmagno Cheese – This was awful – undercooked risotto – think tiny hard bits of rice. 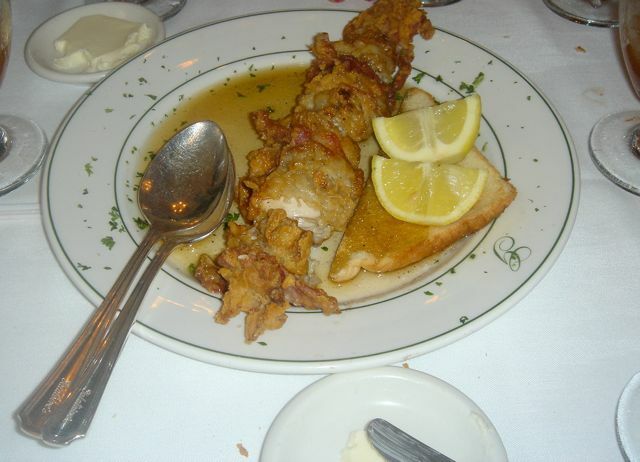 Fried Oyster and Bacon Brochette with Tabasco Aioli – I was imagining lovely fried oysters that would take me back to New Orleans. No such luck. 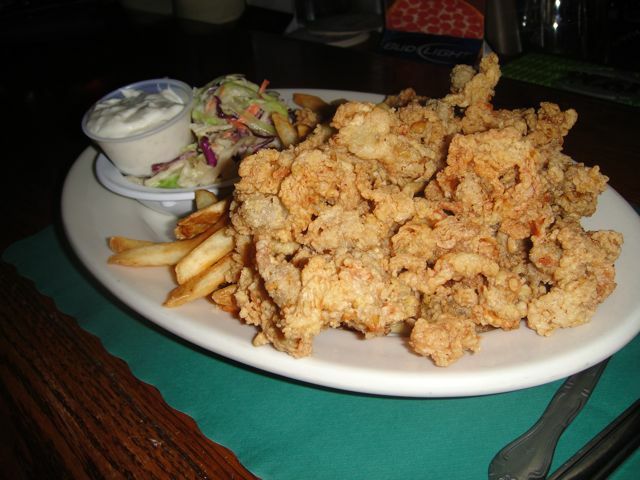 This version was a lump of 3 oysters on a skewer that tasted as bad as it looked; heavy breaded greasy mushy oysters, bordering on “bad” oysters with barely cooked bacon – a mess. Crispy Onion Pancakes – soggy pancakes that were tasteless – one bite only.